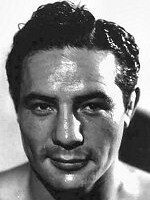 Max Baer is a controversial figure in boxing circles. 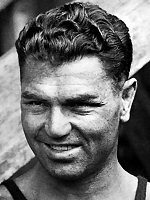 To some, he was a vicious killer; at least one boxer died after a fight with "Madcap Maxie", and another's death was claimed to result from injuries sustained in a fight. To others, Baer is a hero. 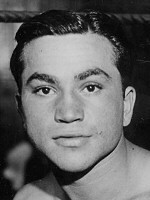 In 1933, Baer fought and defeated Max Schmeling, Germany's ubermensch. 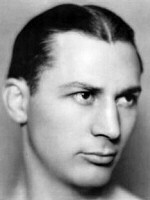 Schmeling was sent to the U.S. by Adolph Hilter to prove Aryan supremacy. 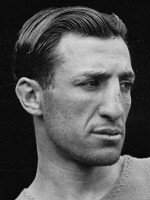 All he proved that in a boxing ring, he was no match for a Jew. For even though Baer wasn't Halachically Jewish, he embraced his heritage. 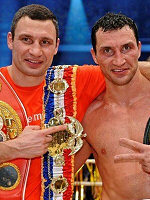 He wore the Star of David on his trunks for that fight, and for every fight after. And a year later, we had our first Jewish Heavyweight Champion of the World. So, controversial figure or not, we're going to embrace Baer here at JONJ. It's not like we're going to see another Jewish heavyweight champion any time soon.